When last in Edinburgh, I managed to catch the Another Minimalism exhibition at Fruitmarket Gallery. The aim of the curation was to look at altered experience through the fluctuating relationships between light and colour, featuring an array of colourful, physically intangible works by the likes of Carol Bove, Robert Irwin and Ann Veronica Janssens. The highlight, however, was a work that was more tangible, both aesthetically and industrially, and one that considered more than just a minimalist sense of projection. The exhibition gave the chance to catch a recurring, 16mm screening of Tacita Dean’s Disappearance At Sea (1996). The majority of the work that sat within the show was abstract, perhaps uncomfortable with being more than the puritanical smoke and lights of what can ironically now be called traditional minimalism. Dean’s work addressed some apt points in this sense, specifically the implication of loss through the physical objects of warning and light, but the film felt more complex in its conception and was certainly more aesthetically interesting. 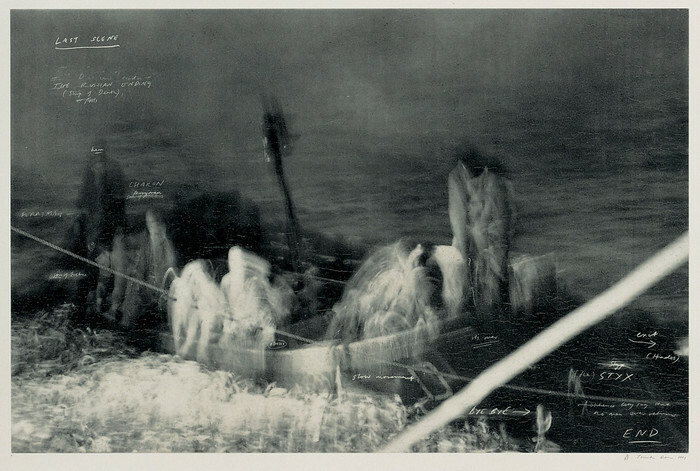 Disappearance At Sea is roughly fourteen minutes long and spends that time building the feeling of unrequited loss, perhaps partly achieved through the implications of its evocative title. The grainy footage is built from several elongated shots of the inside of a lighthouse’s bulb-room as it begins to work and turn. Each cut provides a differing perception the room’s view, looking out onto the seascape as it gradually turns more and more to dusk. 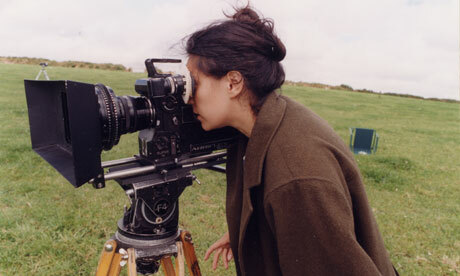 Dean has been noted for her patience of image, suggesting in an interview that “I film with incredibly long takes and I wait. It’s extremely expensive, but I wait for something to happen within the frame because I don’t like zooming and panning. I’ll wait for that bird to fly through the frame.” (2003, p.41). There seems to be no human element at all, further enhanced by the film’s uniquely emphasised depth and breadth of vision created by cinematographer, John Adderley, and his adapted anamorphic lenses. On the soundtrack, the calls of the gulls passing by and the sea build throughout, almost ominously as the film progresses to its conclusion. The time of day is explicitly changed later on, as the sky turns a violent array of reds, pinks and purples and eventually to darkness before the film ends. Perhaps with its inclusion within an exhibition of minimalist work, Disappearance could be said to tie the term down to a lack human presence on the screen. Though this is neither technically nor theoretically true, it opens up another potential criteria for minimalist work as a whole; that of emptied landscapes and places where humanity is hinted at but never shown (see Derek Jarman’s Journey To Avebury or Ben Rivers’ House for further examples). In the case of this film, the point becomes somewhat ironic considering the function of the building where the camera is situated; that of warning people away from the coast. If there was company for the occupier of the room in Dean’s film, it would probably be the harbinger of a potential neglect of post and maybe even a loss of life similar to Charles Dickens’ The Signalman (1866). There is, therefore, a stasis to the film where the solitude in question means something surprisingly positive, at least for any farers upon the sea below. Yet the film is not strictly from the perspective of potential seafarers but from the isolated point at the top of the lighthouse. There are many optimistic readings for the film, especially in its gentle relationship to light and colour, but the lonely social (and geographical) positioning of its camera distorts the repetitive vision of the light, turning it into something quietly tragic. The film is shot at St. Abb’s Head in Berwickshire and makes the most of its unimpeded view of the dusk light, augmenting the very perception of time’s passing. Jeanette Winterson wrote that this was the whole point teleologically of Dean’s methodology in this work and in her work as whole, writing in The Guardian: “Yet when film allows a moment to unfold in real time, we realise that a moment is agonisingly long and that our perception of time is both subjective and approximate.” (2005). Perhaps the optimism/pessimism of the film can be drawn from this concept, whereby the time lost by a loved one has the potential to speed by or drag on depending upon the perceiver. 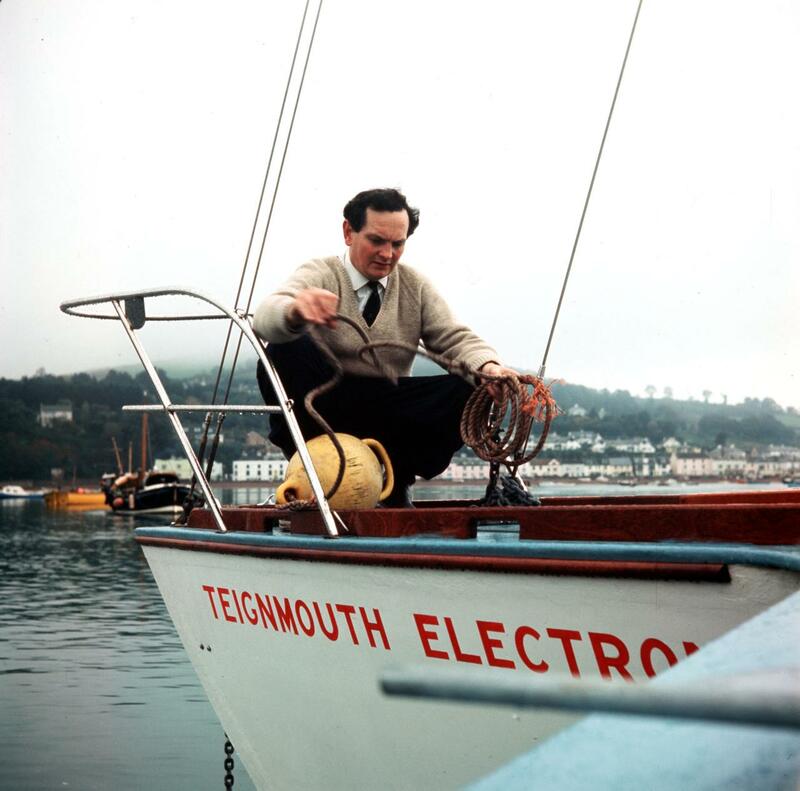 The tragedy of its dusk does have some history to it with Dean being inspired by the real-life around-the-world sailing attempt of Donald Crowhurst; a tragic failed business figure who attempted a nautical odyssey for prize money. Crowhurst’s circumnavigatory attempt, which was later found to be falsified after running into difficulties, would put the man under intense psychological strain eventually leading to his disappearance at sea, now largely considered to be a suicide. Whilst his boat was later found, it was empty. Dean’s film changes in emphasis with this knowledge, becoming ever more nostalgic in its repetition. The lighthouse becomes an entity of grief as it searches in vain for the body of the man. With the structure of the film built around the change from dusk to night, it could imply the transformation of hope into grief itself. But the film challenges this notion by showing the light to be kept on, dreaming away at the search in the fashion of a grief-stricken somnambulist. Dean’s film plays with place and with loss but perhaps seeing it installed ultimately highlighted how much it works because of its celluloid imprint. The film was projected, its machinery’s sounds vying with the machinery of the soundtrack, creating an immersive, engulfing experience very much like grief in essence. The solidarity of the form also grounded it, very much like the lighthouse of the film; affixed to the ground as a warning but shining its searchlight still in spite of the incalculable odds and waves. Blue murk on foaming ridges. I see the passing beam and fail forever to reach its burnished gaze. To shine your light and search again for marine condolences. Swelling waves cleansing curl-and-crush loneliness. Ebbing in gratitude for the calmness of your grief.